Take down hordes of goofy enemies and crazy bosses. Earn riches, find long lost holy artefacts and make your way up to the top of Mount Stinkup! 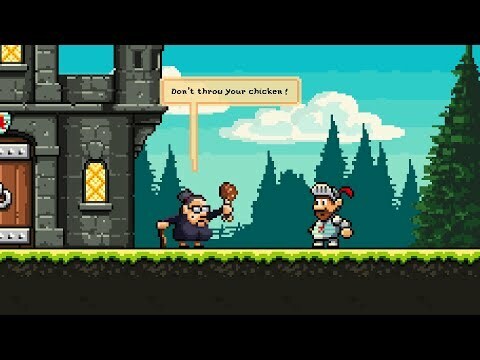 Super tight gameplay and wonderful pixel graphics make Sigi a light-hearted and loving 8-bit adventure to enjoy. Sigi - A Fart for Melusina was released on PS4, PS Vita, Switch and Xbox One 228d ago in the US and the UK. Notify me when Sigi - A Fart for Melusina is available.